RET simulates the same release you get in REM sleep. RET is a physical, emotional, and spiritual healing therapy that works to release on many levels of human experience. The mental level of cognitive repatterning called Skills for Life is one of the best reeducation models out there. The negative belief systems, emotions, and family patterns that prevent us from connecting with our higher selves are all released. Positive affirmations, Skills for Life, and body learning then assist clients to create something different in their lives. In PDF format – readable on most digital devices. This is the story of Kelton’s journey through autism expressed in the writing and poetry of his mother, Ranae Johnson. 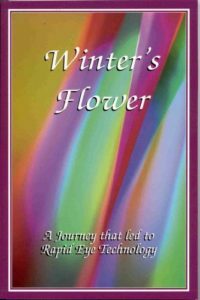 This book is dedicated with love to all who make the journey on the path of growth. Kelton was eight years old when we finally received the answer that would explain his strange and often violent behavior: Kelton suffered from infantile autism. We had heard so many different opinions about his condition from physicians and psychologists. They had said he was severely retarded, brain damaged, incapable of speech. They had said he was unreachable and untrainable. Even with professional training available, it would be a futile effort, and they recommended we institutionalize him. When I discovered the methods that were used at that time in dealing with autism, I knew I would never subject Kelton to that kind of barbaric treatment. I was determined that our child, conceived and born in love, would live with love. 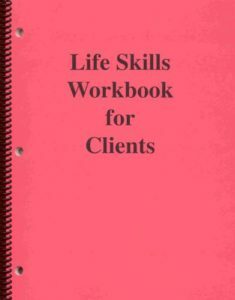 Click here to receive your free Life Skills Client Workbook. This is a workbook designed to enhance self discovery. Inner work is a continuous life process. The more you focus on knowing who you are, the better your life will work. This workbook is meant to take you to the places where you might have trapped trauma and unresolved emotions stored. This workbook will increase your knowledge and awareness of why things show up in your life the way they do. Life Skills assist you in developing new ideas and ways to create quality living. Find a wonderful new freedom. 100 pages of fundamental philosophy and exercises to assist you in living a peaceful, healthful life. Your body speaks to you. As you become aware of its language, you may gain insight into your emotional self. How is your body feeling? And what does that mean to you emotionally? The body is a wonderful communication device that speaks to you all the time. Listening to your body can be very educational for you, in addition to being very therapeutic. Generally, the right side of the body represents masculine, male, men, boys, etc. The left side of the body generally represents feminine, female, women, girls, etc. For example, a sore right thumb might represent worry about a brother, husband, father. A sore left knee might speak to some stubbornness you have about your mother. Remember, these are metaphors and could mean other things to you. Still, try these on and see if they apply. Let it be for entertainment and education only. For more information we recommend Louise Hay’s masterful work, Heal Your Body, from Hay Press. *These are ideas for consideration only and are not intended to take the place of competent medical assistance. The first issue of Blink! magazine is now off the press and into the public eye. 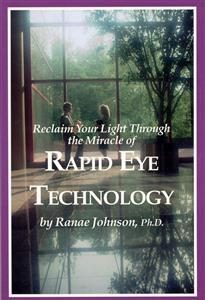 It is full of wonderful articles and testimonials about Rapid Eye Technology and the technicians and clients who have experienced it. Learn what others are saying about RET and RET training. Read stories of miraculous life changes in clients and technicians. Find out how you can experience RET. Learn what RET is and how it can help you. From cover to cover, Blink! Magazine covers the gamut of RET experience – from clients who speak out about their RET sessions to clients who transform their lives through RET training to RET technicians who experience deep levels of transformation through staffing a RET certification. 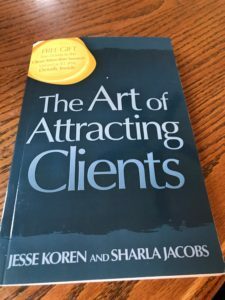 If you are ready to finally attract the clients (and the money) that you deserve, then it’s important to know that attracting clients is a skill that can be learned. And if you want to stay in business, it’s the most important thing to focus on.